This Twin XL mattress guard offers a variety of protection and comfort. With two layers of comfort and natural cotton terry cloth, you can rest easy knowing your mattress is protected. The terry cloth repels moisture to keep you comfortable and your mattress dry. 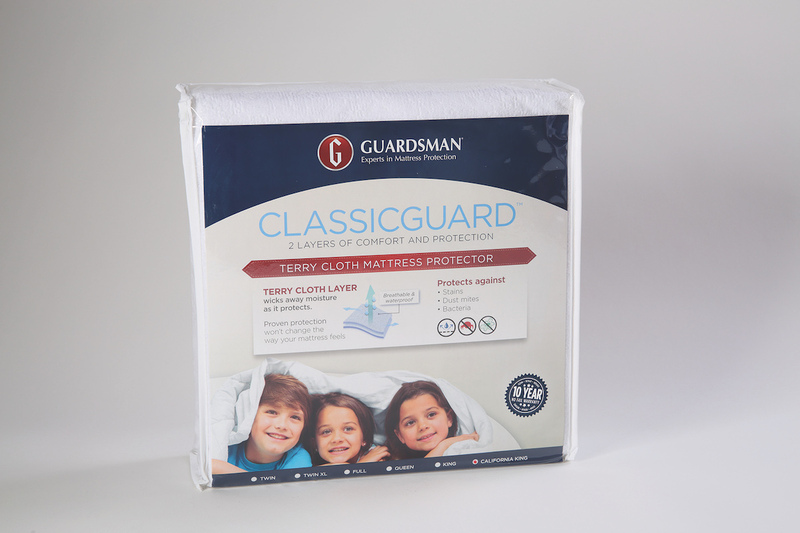 This mattress guard features a moisture barrier to prevent bacteria and mold. With a 1o year warranty, you can feel comfortable knowing your mattress is protected from spills, bacteria and other accidents.